So you’ve heard of Verizon’s new 4G LTE (Long-Term Evolution) network, and you want in. Maybe you’re a Verizon customer and your contract has run out, or maybe you’re planning to switch to Verizon from another carrier. Bottom line: you want a 4G smartphone and you don’t know which one to pick. We’re here to help. Verizon’s 4G network has been up and running for a few months and there are currently three different phones to choose from, with a fourth coming soon. 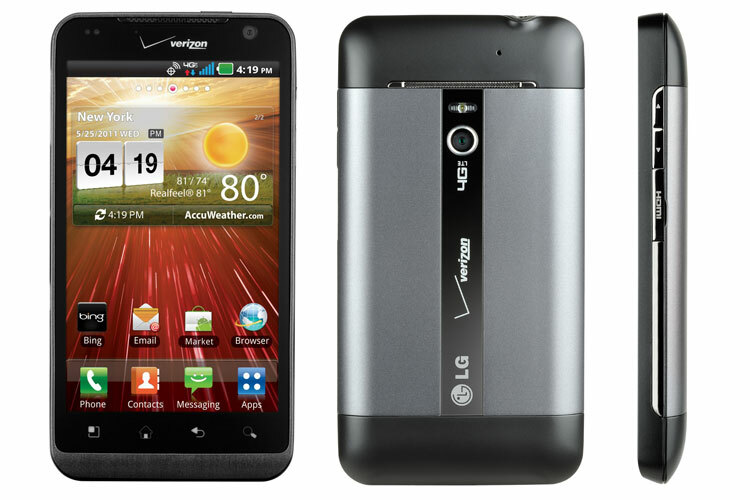 The LG Revolution, HTC ThunderBolt, and Samsung Droid Charge can be found at any Verizon retail store and we recommend you try all three out. The Motorola Droid Bionic will be coming at some point in August. Before you make your decision, however, you may want to read our notes on the three phones. These impressions come from hands-on time spent with all three devices. What is better about Verizon 4G? I could go into detail, but I already have in our 4G guide. Check it out to learn what makes Verizon’s 4G LTE network different from Sprint’s 4G WiMax network and what separates both of them from the supposed 4G networks of AT&T and T-Mobile. For the sake of brevity though, Verizon’s 4G is currently much faster than any other network because it uses a next-generation technology called LTE. Fat: Being on the bleeding edge of technology means you’re going to hurt a bit. Verizon’s 4G LTE network is still in its infancy, as is the wireless receiving technology that is embedded into all of these phones. The components needed to connect to the network are expensive, large, and handset manufacturers haven’t had much experience with them yet. As such, all three of these phones have some noticeable drawbacks when compared to some high-end 3G phones coming out. All three of these phones are a bit fatter and thicker than their 3G equivalents. They aren’t huge, mind you, but they’re about as fat as smartphones were two or three years ago. Android 2.2: Android 2.3 (Gingerbread) updates are finally coming to many devices, but all three of these phones are still running Android 2.2 (Froyo) for now, and that’s no fun. Gingerbread adds some nice polish to Android and seems to manage battery life better as well, among other things. Some of the features of Gingerbread can be found here and here. Battery life: All three of these phones have been criticized for having short battery life. Most users have learned how to toggle 4G on and off to save battery or have invested in extra battery packs or simply charged their phone more often, but not one of these devices manages power as well as a competitive 3G phone. Single-core: While many high-end 3G phones are dual-core, all of these phones are single-core, meaning you are working with about as much power as the 1GHz smartphones that came out a year ago. 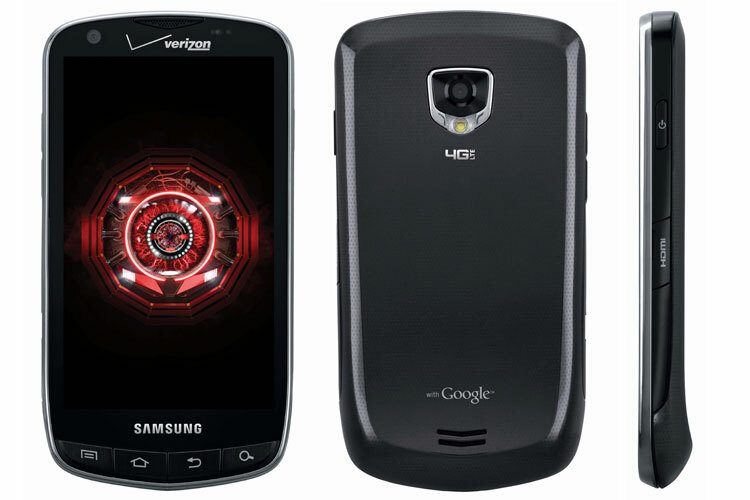 The Droid Bionic, we hear, may be the first dual-core 4G phone on Verizon. With that out of the way, let’s breakdown the competition. 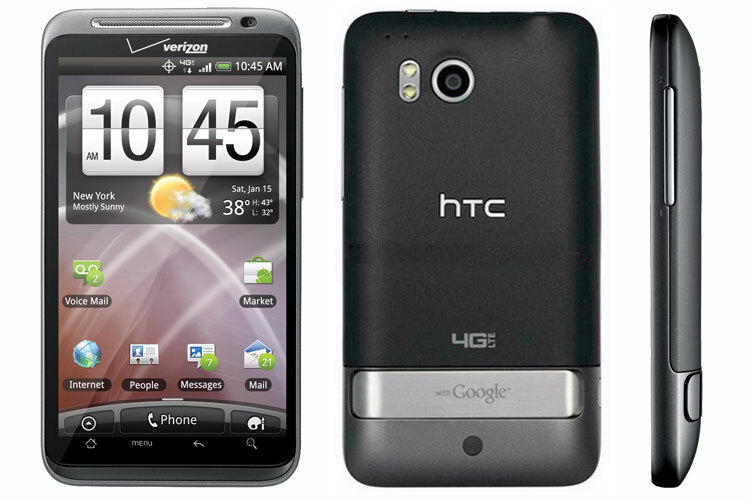 The HTC ThunderBolt was the first 4G LTE device on Verizon and is still probably the most famous and best-selling of the bunch. At one point, Verizon representatives estimated that it was outselling the iPhone 4 on the network and HTC has reported strong demand for the phone. Good: HTC’s Sense UI is probably the best of any manufacturer and HTC’s included apps are quite useful compared to the others. 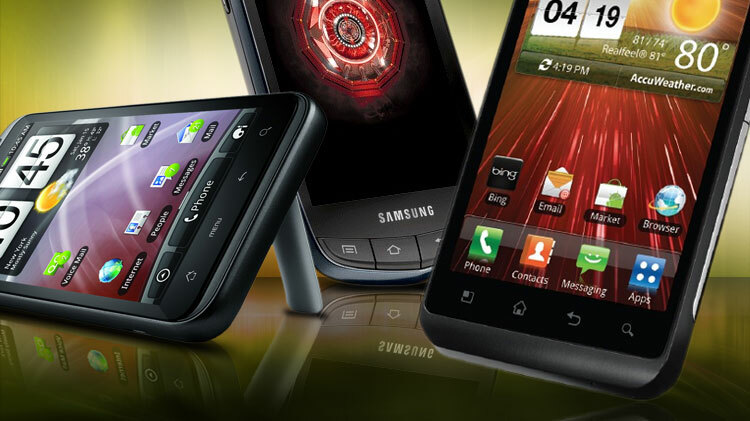 We also like the phone’s kickstand, which makes it possible to watch movies on the phone. The ThunderBolt also has a good feel to it, and feels more solid than plastic phones like the Droid Charge. The phone has 768MB of RAM—more than the competition. Bad: The phone had some random reboot problems, though they have been fixed. The ThunderBolt is also the thickest of the three phones, but not by much. Finally, it has the weakest battery of the bunch at 1400mAh capacity. Having seen the issues arising with the ThunderBolt, Samsung took better care to improve battery life on the Droid Charge, the second 4G LTE phone on Verizon. Read our full review of the Droid Charge to get a complete rundown on the phone. Good: For some reason, the Droid Charge seems to connect at even faster speeds than the ThunderBolt (and much faster than the Revolution) in our NYC testing. It also has the largest battery at 1600mAh and gets noticeably better life than the ThunderBolt. It comes with a 32GB MicroSD card preinstalled, which is huge. Finally, the Droid Charge has a great Super AMOLED screen that is brighter than either of the other two phones. Bad: It’s the most expensive of the three phones, and we don’t like how slippery and plasticy the Droid Charge shell feels. Despite the preinstalled microSD card, the phone only has 2GB of internal storage. Samsung’s TouchWiz interfact is certainly better than some, but we don’t like the color combinations and the whole experience is a bit disjointed when compared to HTC’s Sense. LG was the third entrant into the 4G LTE game and when it decided to call its phone “Revolution” it may not have been referring to the 4G. Nope. This is an Android phone that doesn’t have Google services. It runs on Bing. Good: The LG Revolution is, by far, our favorite phone to play with, of the three. Its screen has some kind of magical slick coating to it, and the overall construction of the phone is solid. It also has a decent battery and 16GB of internal storage. We also don’t mind the look and design of LG’s custom Android user interface. Bad: We’d be keen to recommend the LG if it didn’t have one crippling huge flaw: It’s a Google Android phone, but it runs on Bing…yes, Bing. Much like the Samsung Fascinate, LG has taken advantage of Verizon’s ties to Bing and made it the sole search provider for the phone. Not only does this feel like a bit of a slap in the face to Google (they did offer the OS for free, after all), Bing just isn’t as good as Google’s services. You’ll have to dig around the Android Market to save yourself from Bing Maps and use all of the Google services you expect on an Android phone, but no matter what you do, we haven’t found a way to remove Bing as the default search for the phone. How depressing. Aside from that, the camera is 5 megapixels, meaning its slightly less capable than the 8-megapixel cameras on the other two devices. For some reason, the Revolution seems to get slower 4G connections than the other two, at least in upper Manhattan where we tested it. The Droid Charge is not the best looking Android phone we’ve seen, but we think it’s the most well-rounded 4G device currently on the market. It gets good enough battery life that you shouldn’t have the itching desire to return it after a week, and the screen is much brighter and more vivid than the other two devices. Samsung’s TouchWiz UI isn’t great, but it isn’t bad either, and the camera on the phone is solid, pulling in good color and with more accurate brightness compared to other manufacturers. It is the most costly of the bunch, but the 32GB memory card helps ease the pain. With that said, the HTC ThunderBolt is certainly a decent phone as well and, hey, if you are okay using Bing as your search engine, we highly recommend the LG Revolution. It’s the cheapest phone of the bunch, and pretty decent in most every category. The Droid Bionic is coming out in the next few weeks. We’ll make sure to update this article when it arrives.